A game to drive people crazy, and it can’t be played twice, so be careful. Choose one person who has never heard of this game, and ask them to leave the room. One way to choose is to make the game a forfeit for the looser of a previous game. You're best with someone who will ask creative questions, so choose your victim wisely. After they have left the room explain the rules to the rest of the group, who should sit in a rough circle. The rules are simple: the victim will go around the circle and ask questions. Each player must answer for the player sitting to their left. You must answer the question even if you don't know the answer, and you can lie. However if the player giving the answer has said something untrue of you, you must declare "psychiatrist". Once psychiatrist has been declared everybody must change places. The only exception is if a question is asked that will give away the game (e.g. "what is your name?") 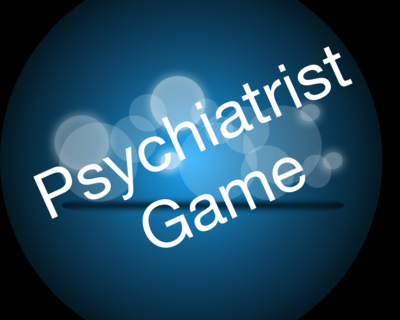 the player must not answer, and they declare "psychiatrist". Now call the victim back in the room and explain that their objective is to discover the rules of the game, and that the best way to do it is to ask invasive and tricky questions. This game can become quite frustrating for the victim, so occasionally you will have to spare him/her. Try to sway the questions - especially if they ask too many straightforward questions such as names. Very few people ever really win this game, so play as long as you want....it is a great game, good fun for all. I play this with my friends all the time! It's really fun when you know how to play! This was hard to explain to my friends. That sounds so COOL! Im gonna play it at my bday party. a little confusing but mad! this is a great game for a blonde!!! Had my Uni mates and me is friggin hysterics for HOURS! Played this game with a youth group. Great fun, just make sure you have lots of "diseases" on hand. My favourite was the mobster! I learned this from my peers anda it was fun, especially the first time, im planning a party and i was planning to use this game, but now i have more about it, it will help make it better. But like the last comment, you can choose any type of disease, like the patients play with thier foot whne htey answer, or scratch thier head, or can't say colors, etc. played this game a long time ago. thanks for reminding me! But these are just simple guidelines. The actual "disease" can be anything no matter how obvious, vague, figurative, hypothetical, or stupid. This also adds the ability to replay the game as many times as you would desire and with anyone as the "psychiatrist".